Prototype: 5 German State Railroad (DR) type OOtu 6778 hopper cars, as they looked at the start of Era IV. 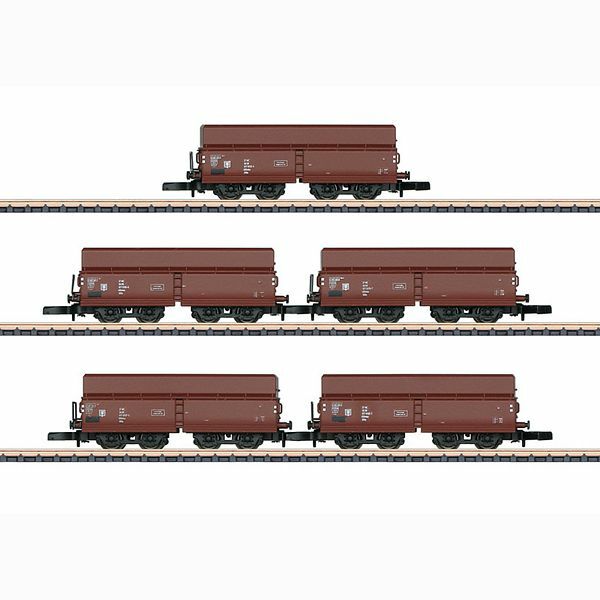 Model: The set has 5 type OOtu four-axle hopper cars. The car bodies are made of plastic and are prototypically lettered. The cars have close coupler hooks and solid wheels. Length over the buffers approximately 235 mm / 9-1/4".